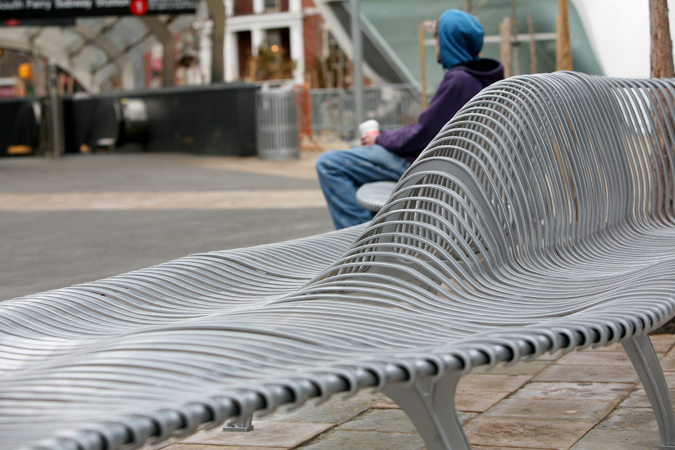 WXY’s new zipper benches welcome sitters at Peter Minuit Plaza. 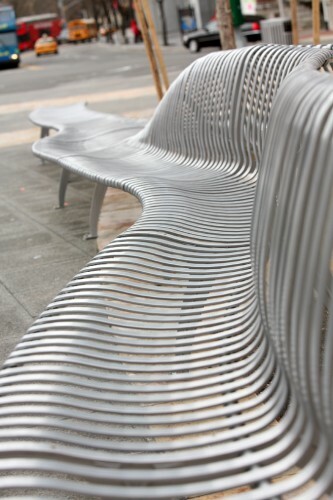 New zipper benches designed by WXY are in place at Peter Minuit Plaza. 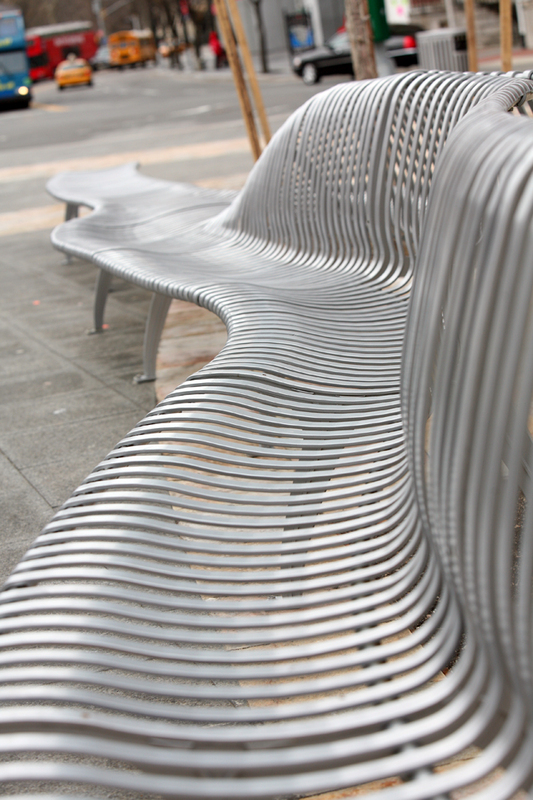 The skateboard-proof benches in front of the Staten Island Ferry Terminal got a proper workout yesterday, despite the cold. 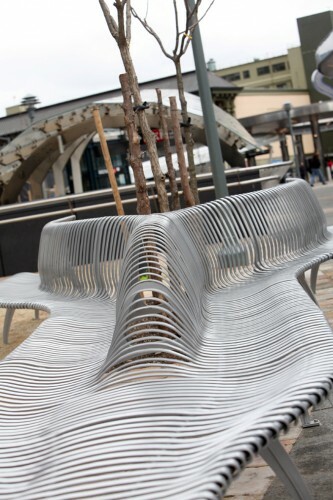 The sinuous design begins as two benches facing opposite directions before zipping up and melding into one surface offering the sitter a choice of two views. Morphing benches seem to be making statements in more places than just New York as well. Last week’s AN Fabrikator story spotlighted subway benches in Philly that scrunch up to discourage people from lying down. It would seem that firms are taking on bad behavior by pushing the design envelope. Before zipping up, the bench whips around a few trees, doubling as a tree guard. The sculptural form melds into the landscape.